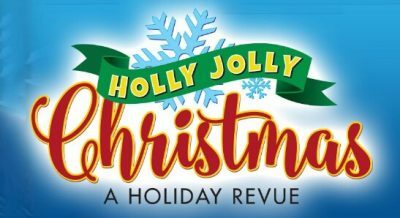 Bring out the holiday spirit with this most enjoyable musical filled with dancing, holiday favorites, and a visit from the big guy in red himself! You’ll be welcomed by Mr. and Mrs. Claus, travel around the wide world of holiday cheer with Christmas in Killarney and Feliz Navidad. See how special the holidays are at home with “Merry Christmas With Love”, “The Christmas Song” and then see Christmas through the eyes of a child. There’s a lot of dancing with “Jingle Bell Rock”, “Blue Christmas” (so you know who might show up! ), “I Got My Love to Keep Me Warm” and more. We guarantee this show will make your holiday holly-er, jolly-er, merrier, and brighter! An included delicious lunch features Apple and Orange Waldorf Salad with Fresh Baked warm Dinner Rolls, Chicken Cordon Bleu, Homemade Stuffing, Festive Mixed Veggies, and Fruity Rainbow Sorbet. Minimal walking.